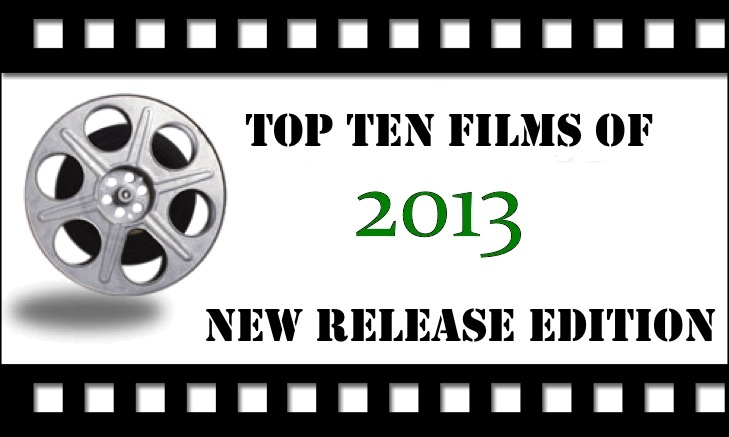 The Top Films of 2013 – Did You See That One? In 2013 I saw a lot of films in the theater. In addition to older films, I was able to see 34 new releases throughout the year. From those movies, and a handful of other films seen through Netflix and other sources, I’ve created my top ten. There were some tough choices along the way, but the list below covers the best of what I saw. No movie caught me off guard more than this one. The story is so unique and filled with all the right twists and turns. In addition, the story brings out a wonderful sense of family and compassion. Eugenio Derbez not only directed, but also starred in this great dramedy. This was definitely the tear-jerker of 2013 for me. I looked forward to this one from the moment it was announced. Baz Luhrmann is one of my favorite directors, and this story was perfect for his style of storytelling. The end result is another one of Luhrmann’s visual treats, wrapped around a classic story. DiCaprio, Maguire, Edgerton, Fisher, and Mulligan all do great work in this one. This one was easily the best action film I saw this year. In addition, the story is a straightforward look at the realities of war. Not only does this story bring out the grit of battle, but it’s also mixed into a unique and intense true story. Mark Wahlberg does a great job with the physical and emotional demands of the role. It took me a long time to see this movie. Once I got around to it, I was in for a wild ride. The film pulls no punches in depicting the debauchery of Jordan Belfort and his band of fellow felons. DiCaprio is wonderful as the leading man in this Scorsese masterpiece. While this is an assault on the senses, it’s also a wonderful story. Very few films hit as close to home as this one did. Being adopted, I have a soft spot for stories about adopted children. This one is a powerful drama that brings out the great performances from Coogan and Dench. It’s such a unique story, and being true really adds to the compelling nature of this movie. It’s weird to say that a movie in my top five did not quite meet my expectations, but that’s true of this one. That’s not to say that this isn’t a great movie. I think it was just one of those movies that was never going to live up to the hype. That being said, Bullock pulls off the performance of her career with this one-woman show. The visuals and the story by Cuarón are unlike anything I’ve seen in a long time. Woody Allen is a great storyteller, especially when it involves the awkward moments in life. This time he brings out a wonderful performance from Cate Blanchett to tell his tale. The acting from the rest of the cast is also great. With Allen, it’s nice to know that he still has it. Director Steve McQueen did a wonderful job bringing the story of Solomon Northup to life. With John Ridley’s screenplay, the cast was able to do amazing things with the story. Ejiofor is wonderful in the lead role in this one. It is a rough film, not looking away when things get uncomfortable. The end result is a powerful movie. Inside Llewyn Davis was one of the more snubbed films of 2013, and it’s also my favorite. Oscar Isaac gives a powerful performance as the wandering folk musicians. The film features a wealth of great new music including work by stars like Justin Timberlake. I think the Coen brothers knocked it out of the park with this one. I’m sure some of you will disagree. Tell me what you think. I’ve only seen a handful of these, but like you, I loved The Great Gatsby. I feel like most people who harshed on it simply did not “get it.” They were looking for some sweeping romance and were dissapointed to find an effed-up relationship that never should have happened. Or they weren’t into Baz’s timeless style. I hope you get to see a few more of these movies. My issue with Gravity really came down to the hype it got before it was released. It’s a beautiful film with a great message, it just was not the film of the century that people led me to believe it was. 2013 was all about Gravity for me. Thought it was fantastic. To be fair, there are still plenty of movies I need to see on this list. Gravity was a good movie, but nowhere near the best of 2013. Still a great one though.